Dr. Dale G. Fried is Founder and CEO of 3DEO®, Inc., a consulting company specializing in Geiger-mode lidar technology. Previously, at MIT Lincoln Laboratory, he was co-program manager and technical lead for the Department of Defense-funded MACHETE ladar sensor, the world's most capable ladar system, which is now in daily operational use. Earlier he was technical lead for the ALIRT Geiger-mode ladar, which has mapped over 600,000 square kilometers at 1 m resolution for the DoD. Prior to MIT Lincoln Lab Dale was a Senior R&D Engineer at Clarendon Photonics, an MIT venture-backed startup in the telecom sector. Dr. Fried earned the PhD in Atomic Physics at MIT in 1999 for the experimental realization of Bose-Einstein condensation in trapped atomic hydrogen. He has been granted seven patents to optic devices and has co-authored numerous publications. Brandon Call joined 3DEO® as a Geiger-mode lidar technology specialist in December, 2015. Previously, he was a product and engineering manager at Lockheed Martin Procerus Technologies, leading a team of engineers focused on avionics for small autonomous aircraft and ensuring that products met acceptance performance tests for the customer. 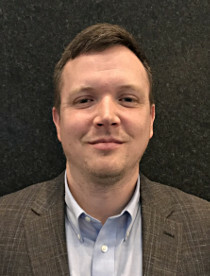 Prior to working at Lockheed Martin, Brandon worked at MIT Lincoln Laboratory for 7 years developing Geiger-mode lidar technologies and systems. He supported development, data processing, data analysis and visualization, sensor maintenance and personnel training for the ALIRT system. He was also a system architect for the MACHETE ladar system. Mr. 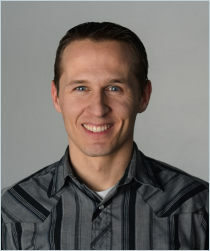 Call earned an MS in Electrical Engineering from Brigham Young University in 2006, focusing on computer vision and image processing for airborne sensors. Chris Reichert is a lidar systems engineer at 3DEO®. He joined the team in September 2017 and brings extensive experience in system integration, testing, and field operations of advanced airborne lidar systems. He worked for 5 years at MIT Lincoln Laboratory in the Active Optical Systems Group, helping to design, test, and operate advanced Geiger-mode ladar systems. In 2013, he deployed OCONUS with MAG Aerospace as a system engineer to operate and maintain the MACHETE ladar sensor. He has also worked as a process validation engineer at Boston Scientific Corp, writing and executing process validation protocols to support good manufacturing practices. He is a 2006 graduate of Rose-Hulman Institute of Technology with a BS in Physics. 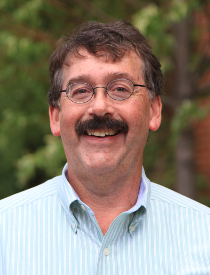 Mitch Mackoff has more than 35 year’s total business experience, including over 30 years in emerging technology companies. He has a proven track record in venture capital and private placement financing, public offerings, and mergers and acquisitions. His background includes direct experience with companies involved with hardware / manufacturing, software, systems, networks and services and includes both venture-backed and traditional growth models. 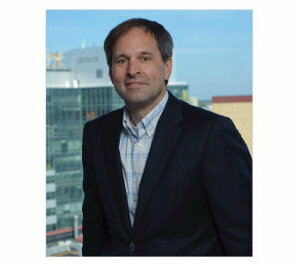 He has held executive management positions, at both the COO and CFO level, at multiple companies. He is a “Big-4” trained CPA. His MBA degree, with concentrations in accounting, finance, and information systems, was awarded with Highest Distinction from Babson College. He received his BA degree in Economics and Psychology from the University of Rochester. Dr. Beard is currently a professor of Electrical and Computer Engineering at Brigham Young University. 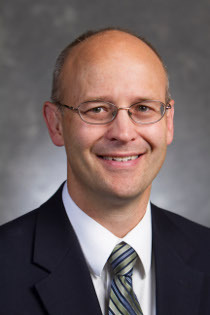 He received his Ph.D. in Electrical, Computer, and Systems Engineering from Rensselaer Polytechnic Institute in 1995. He was a research fellow at the Jet Propulsion Laboratory, California Institute of Technology in 1997-1998. In 2006-2007 he was a NRC Fellow at the Air Force Research Laboratory, Munitions Directorate where he worked on vision based guidance and control algorithms for micro air vehicles. He has more than 17 years of experience in research related to autonomous control of micro unmanned air vehicles and multiple vehicle coordination and control. His primary research focus is in autonomous systems, unmanned air vehicles, and multiple vehicle coordination and control. He has published over 70 journal articles and over 130 peer reviewed conference articles and has received funding from AFOSR, AFRL, NASA, DARPA, and NSF. He is a fellow of the IEEE and an associate fellow of the AIAA and also a member of the NSF/AUVSI/FAA/DHS Research Advisory Group. He is a past associate editor for IEEE Transactions on Automatic Control, the Journal of Intelligent and Robotics Systems, and the IEEE Control Systems Magazine. In 2004 he was awarded the BYU Young Scholar Award and in 2006 he was awarded the BYU Technology Transfer Award. He is the co-founder of the Procerus technologies whose ﬂagship product, the Kestrel, is the smallest commercially available UAV autopilot.